"My paintings view the world through a lens of optimism and joy. 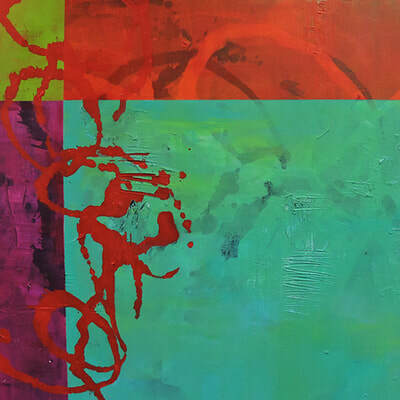 Using abstracted imagery and clear, bright colors, I paint expressively with intuition and the resulting artworks are a reflection of my inner world. Relying on this upbeat viewpoint through a significant health challenge, my renewed wellbeing has encouraged me to become an evangelist for the positive and to share a message of inspiration and hope through my art." Jacqueline Doyle Allison is an award winning artist who was born in Las Cruces, New Mexico. She received her BS specializing in graphic design and fine art from Middle Tennessee State University in Murfreesboro, Tennessee. Currently she lives in metro Atlanta and the mountains of north Georgia with her husband. 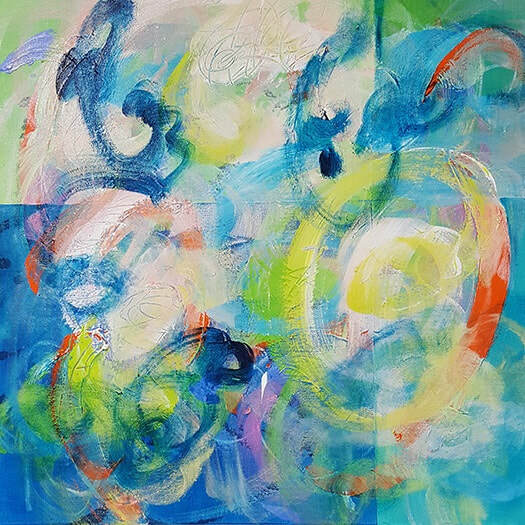 Jacqueline’s paintings draw inspiration from the abundant colors found in nature. Her paintings have been exhibited in many solo and group exhibitions in the southeastern United States including those at Ferst Center for the Arts, Atlanta, Georgia; Quinlan Visual Arts Center, Gainesville, Georgia; Roswell Visual Arts Center, Roswell, Georgia; and Abernathy Arts Center, Sandy Springs, Georgia. 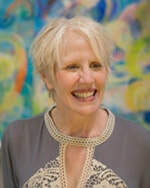 She is the recipient of several awards including finalist in the United Nations Education, Science and Cultural Organization (UNESCO) Chair in Bioethics and Human Rights 2015 Bioethics Art Competition, “Express the Gift of Healing: Body, Mind and Spirit.” In addition her works are in many private and corporate collections throughout the United States including Emory University Hospital’s Winship Cancer Center, Atlanta, Georgia; Medical Information Technology, Inc., Atlanta, Georgia; and Applied Technical Services, Inc., Marietta, Georgia. Her work has been published in the Still Points Arts Quarterly; Studio Visit and A Walk into Abstracts. She also illustrated and designed the inspirational art book Healing Beauty~Artistry for the Soul. Debi Lamb, Gallery Owner of The Art House Gallery in Atlanta, stated: “Jacqueline Doyle Alison's inspired contemporary works are much like the artist herself - very personal, textural & deeply moving - a collection that soars and still draws the viewer in. 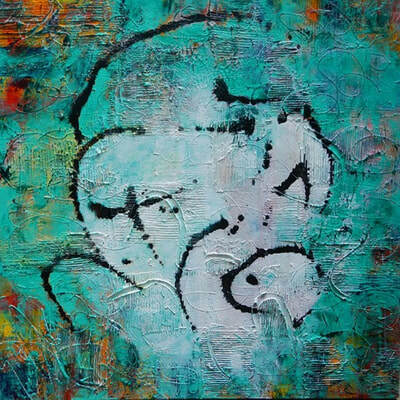 Her works lets you know the artist has a rich and interesting life - played out on canvas. I adore knowing Jacqueline more deeply through her body of visually stimulating works - yet, resting in them as well. A very delicate balance..."